Paris in New York – Eat Me. Drink Me. I think I’ve found IT. True love. The café of my dreams. 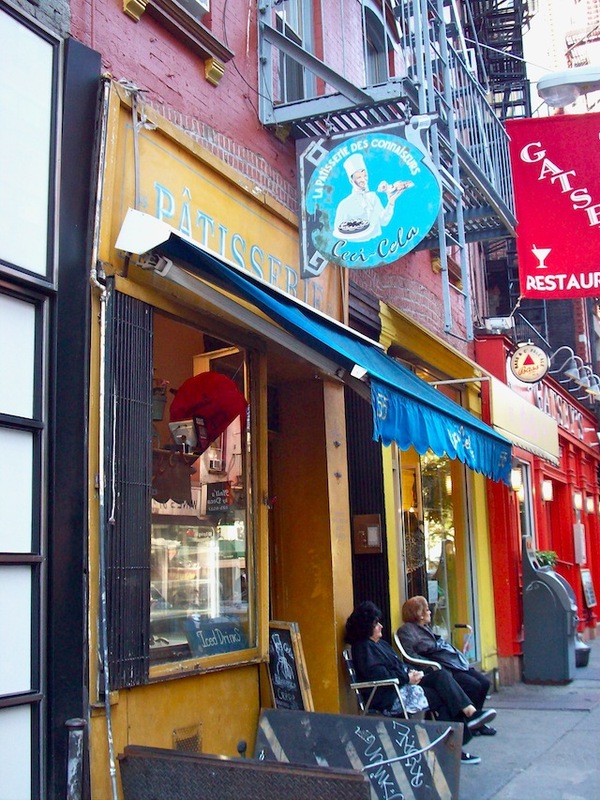 Ceci-Cela is located on Spring Street in the heart of SoHo, and the bohemian chic stroll by in droves. Inside, however, is an oasis of soft lights, well-worn wooden floors and tables, exposed brick walls, and crooked corners. There are only eight small tables in the back room; to get there, you walk past a display counter of glazed tortes and cakes, crisp croissants, and sugar cookies glistening with raspberry jam. The first time I came to Ceci-Cela, I was visiting New York to meet up with a friend and native New Yorker, for whom coming to Ceci-Cela was a family tradition. 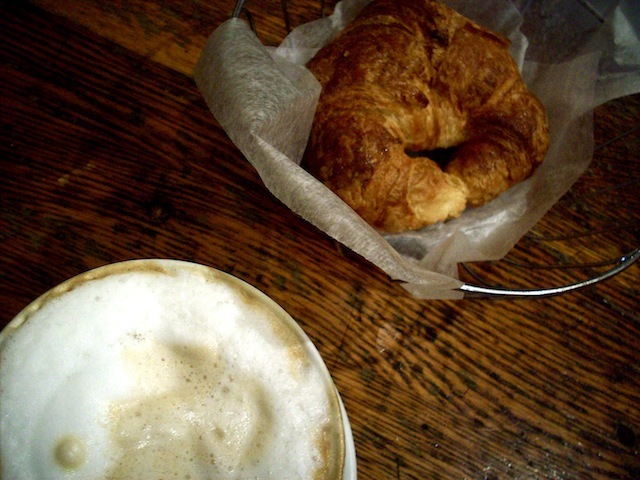 We ordered cappuccinos and croissants, at which point Natalie, whose family is French and Persian, taught me the art of dipping croissant in coffee. It all felt so very – French, like being transported to Paris on a magic quiche. I’ve been back a few times since then, stopping by almost every time I come to New York. And now that I live here (still so strange to say), I have the feeling I’ll be here more often. Do they have anything that is high fiber? Like a bran croissant? No, that is an oxymoron. Have you searched the net for cheap stores near you – like BB’s in PA? If they’d open a branch in your building, they’d make a million in a week!